Varun who had made some.remarkable cameo roles in many films including Bogan, Neruppu da, and night show makes his debut as a hero. The young handsome hero who has graduated from playing character roles to Hero, is well trained in all forms of art that is required to attain glory as a Hero. 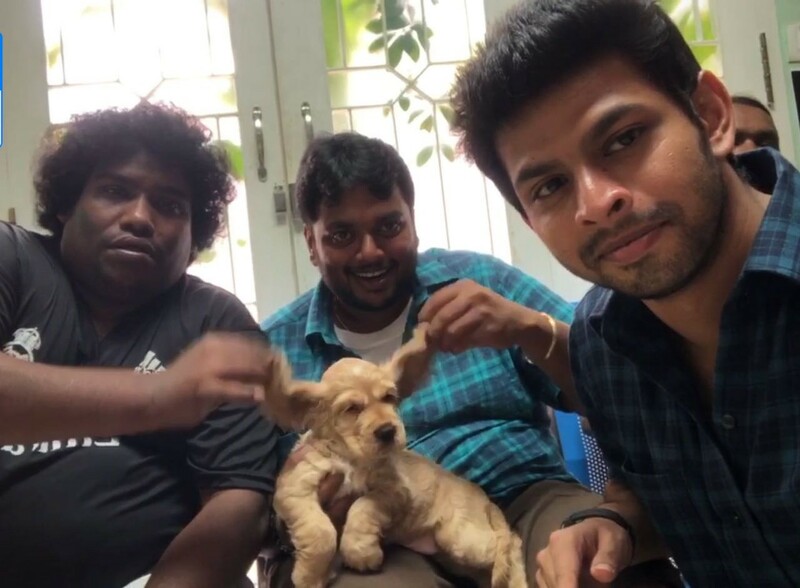 Now Varun is marking his debut as a Hero in "Puppy" directed by Nattu Dev a former associate of "Kaka Muttai" Manikandan.He is paired opposite Samyuktha Hegde a very popular name in the Kannada film industry. It is to be noted that a dog also plays an important role in this film. She left everyone marveled at her innocuous and bubbly role in her Kannada movie Kirik Party. From this moment, it has been a long pondering quest for her fans out here in Tamil territory for her debut. After flipping through lots of scripts and hearing sessions, she finally lands up here through the movie ‘Puppy’, directed by debutant Nattu Dev, who had earlier acted in few films and worked as assistant director in Kaaka Muttai. "When ‘Puppy’ came my way, it instantly attracted for me for some reasons for I am personally a voracious lover of pets.The experience of an unconditonal love and the emotional bonding between human and dogs will be recorded. I have gathered enough experience to make my debut as a Hero. This hilarious package of fun and emotions filled in this film ensure a film of visibility across all regions. Miles to go before films run for my face value,until then iam particular on being associated with films that are designed to be successful" concludes Varun with confidence. Fill up.with the cast and crew list.